I am so thankful for the holidays we were able to have! We spent much time with loved ones, much time in nature, and dozens of hours driving. God kept us safe on the roads despite a dangerous tire problem and malfunctioning brake lights—and those were fixed relatively quickly. Even though our homecoming was filled with the usual bustle of laundry, lawn care, and garden catch-up, we are rejuvenated, full of happy memories and fresh perspectives. 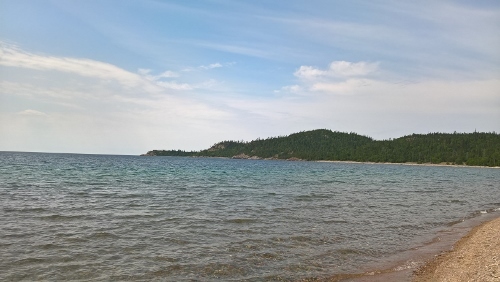 We drove north of Lake Superior through the wilds of the Canadian shield where forests, water, and landforms show the incredible vastness of our country and the greatness of our God. Beautiful Lake Superior was our companion for hundreds of miles, in glimpses and vistas and all sorts of moods. Kakabeka Falls is one of our favorite places to stop. 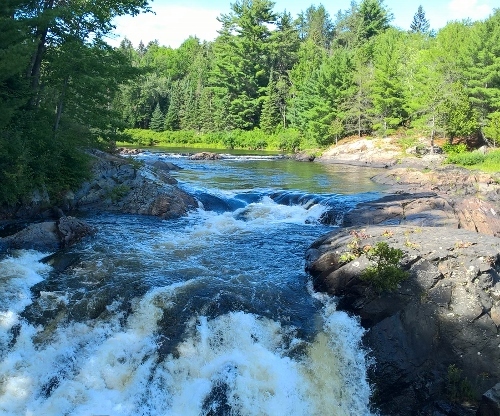 The thundering waterfall can be heard throughout the campground and is amazing to see. Unfortunately, I am currently unable to upload that photo to my blog, but I will do so as soon as possible. In the meantime, you can see it here. As we drove further west towards Manitoba, the sky became hazy and dirty-looking due to forest fires in BC. On the worst day, the sky was an eerie yellow and the sun, high overhead, was pink. In the days before modern communication such a sky could have caused terror. 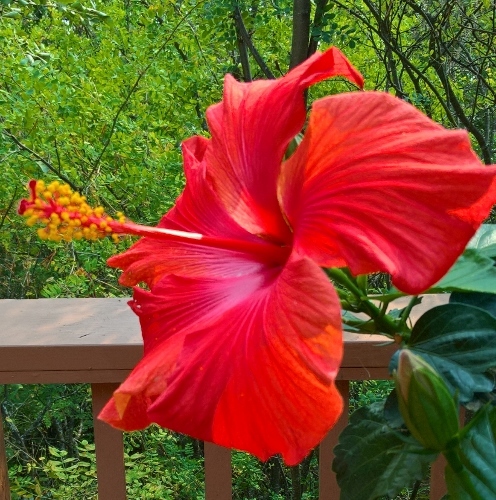 I watched a hibiscus flower open. While the plant was still, the emerging flower shook because of the speed with which it opened. I cannot image the incredible activity at the cellular level, the complex, coordinated frenzy of growth that leads to observable motion. Truly, God is very great! Family, adventures, mishaps, and all this exposure to creation–it was a good holiday, and we are thankful for it. I hope that you, too, were able to spend time with loved ones and time being awed by the majesty of the Creator. And if not, I pray that God will give you rest and rejuvenation in some other way. Posted in: Canadian, Field Trip, God's Wonderful World, Holiday Highlights, Life, Nature Study. Praise God that you had a safe and happy holiday! I so love the Great Lakes!